Talk about a quality sword. 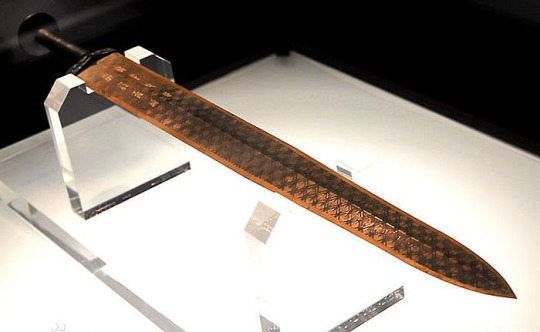 The Sword of Goujian, crafted more than 2,500 years ago, remains intact and in impeccable shape. Some believe that it mythically defies time. 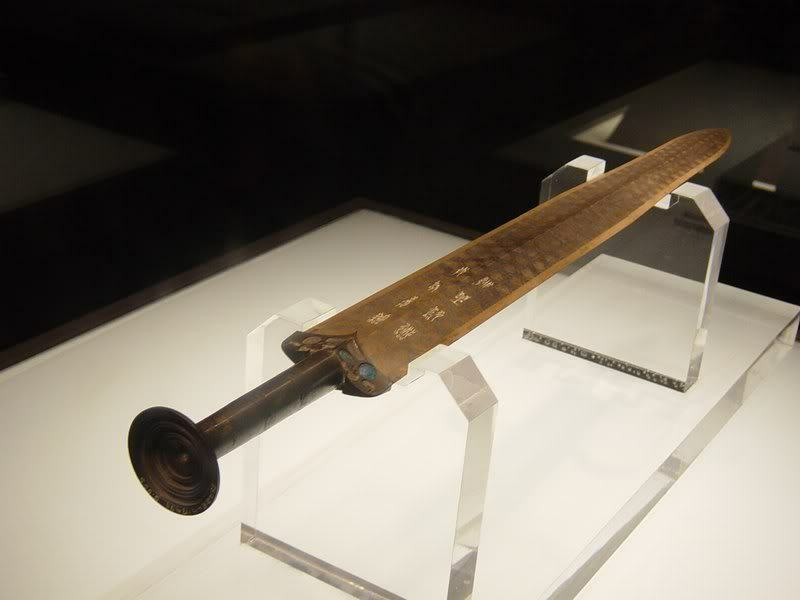 The sword was discovered in 1965 in a tomb in Hubei, China. Archaeologists discovered it next to a skeleton in an air-tight wooden box believe to be an artifact from 771 to 403 BC. 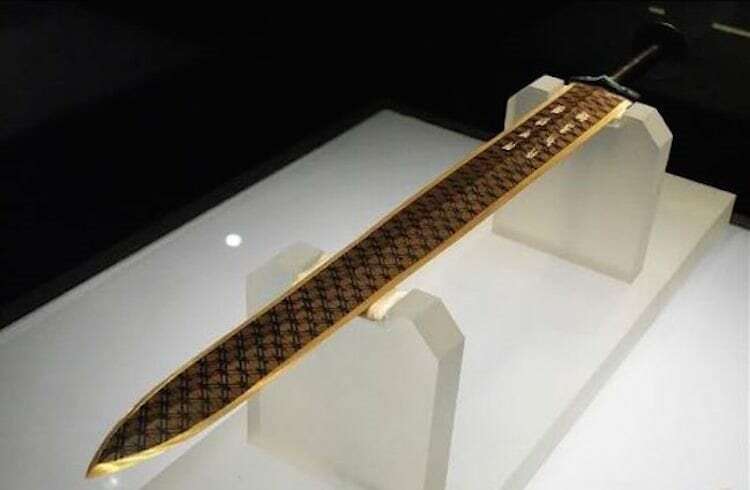 The discovery shocked scientists when they noticed how untarnished the blade remains after being buried in damp soil for two millennia. The beautiful blade is 22 inches in length with rhombi patterns on each sided and gorgeous embellishments of blue and turquoise crystals. 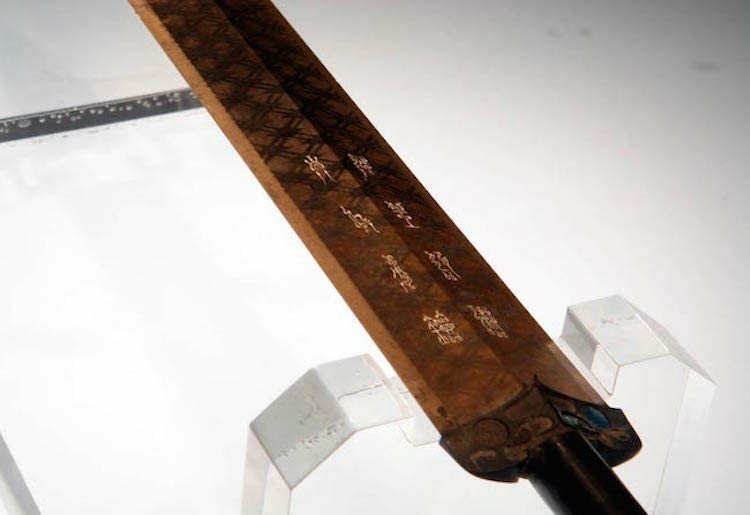 There are two rows containing eight characters that read, “King of Yue” and “made this sword for [his] personal use.” King of Yue is famous for his perseverance in times of hardship. 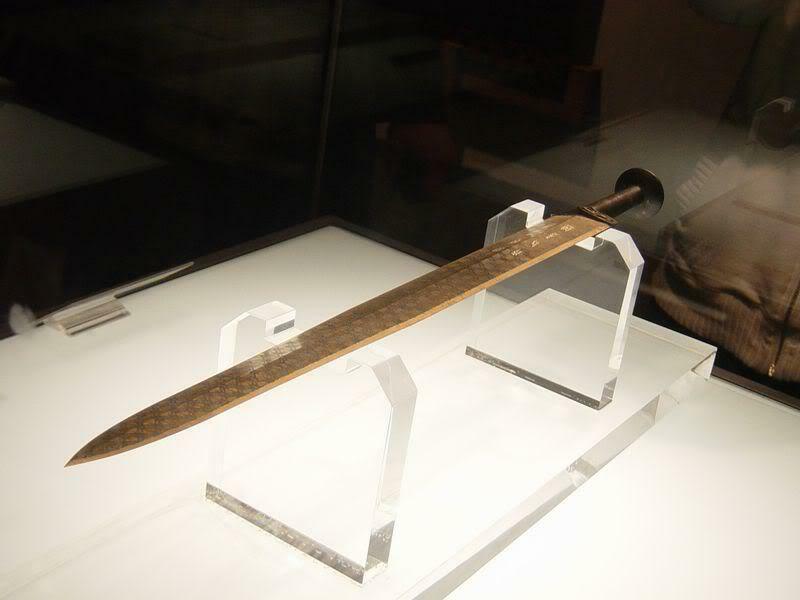 The sword currently sits at the Hubei Provincial Museum in China Be sure to give this post a thumbs up and a share with your friends on Facebook before you go.